Both of these objects are wine presses, one more modern than the other. Whilst the large press has taken the bulk of the work in recent weeks the small press has its role too. 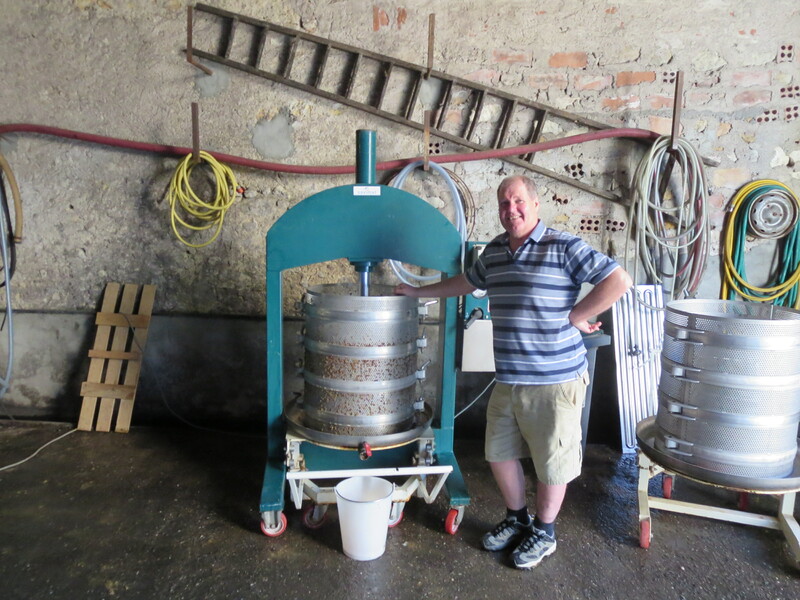 It is also an olive press incidentally. 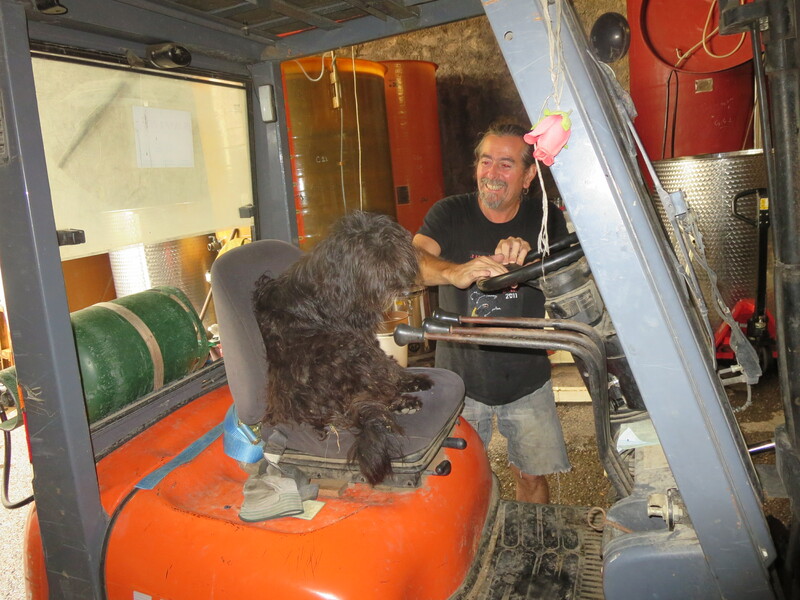 It is used mainly for small production wines and I was lucky enough to be trusted to supervise its use for the pressing of muscat and grenache grapes which will make into the fortified wines which Jeff Coutelou produces in addition to his table wines. 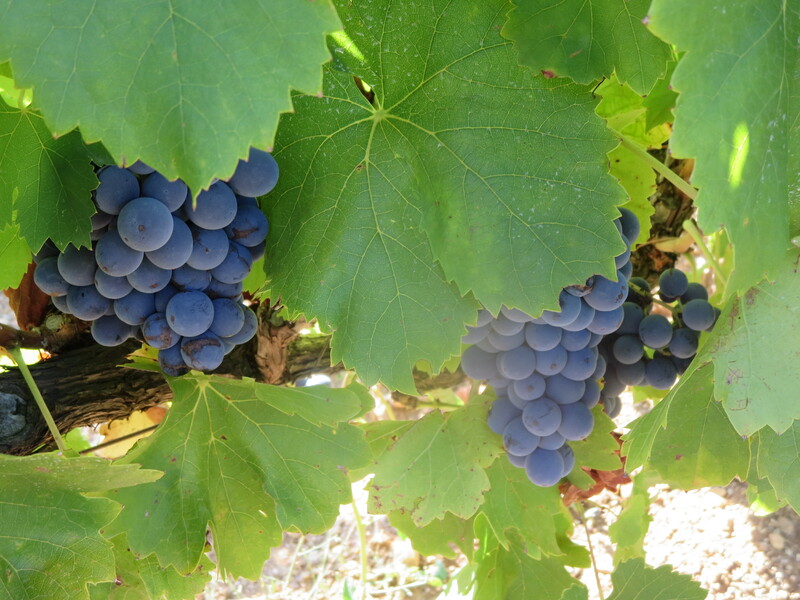 The ‘vieux grenache’ wines are made in different methods as I shall describe in future posts including a fantastic solera type system with wines dating back many, many years to previous generations of the Coutelou family. They are, of course, delicious. 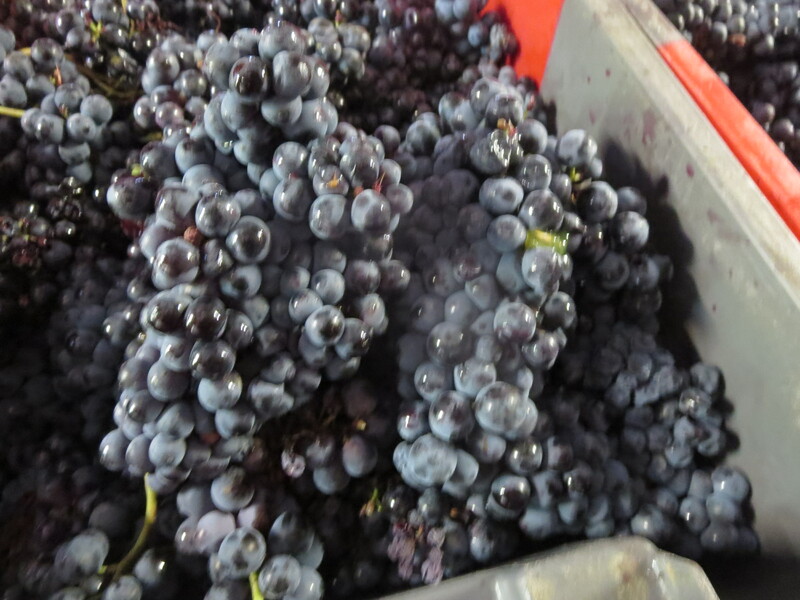 The grapes are sorted and then loaded into the cage and wheeled into place. The press is lowered and the juice begins to flow. 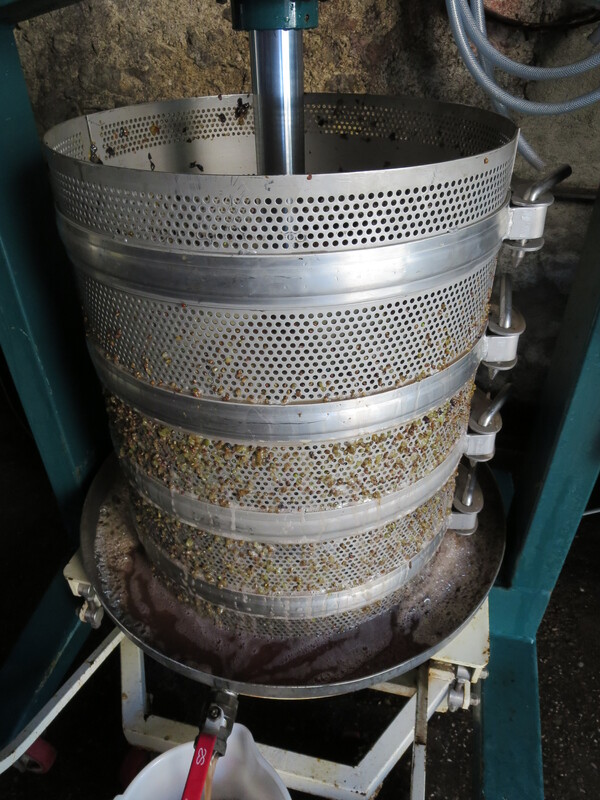 The major lesson is to be careful about how much pressure is used as if you press too hard the mass of grapes, stalks and pips becomes too hard and the juice will not flow freely. I confess to pressing a little too hard at first but fortunately rectified it before any damage was done. 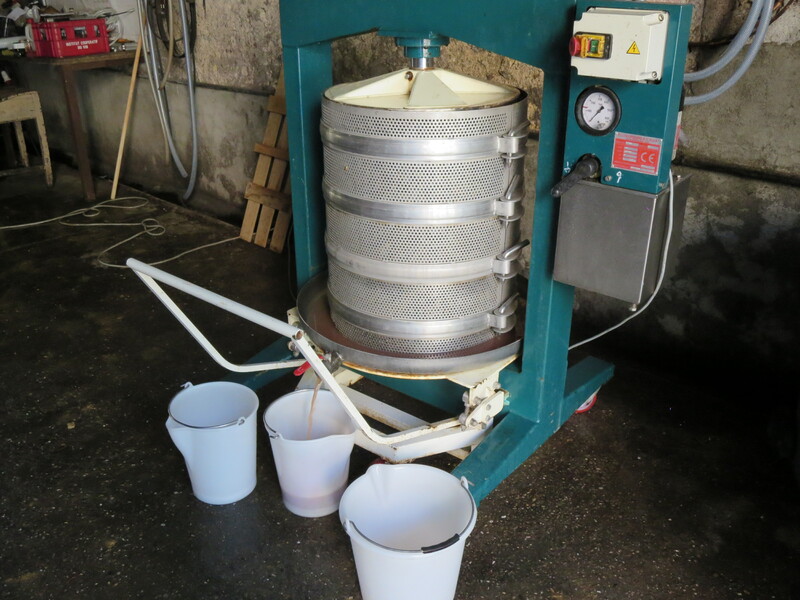 The juice is taken to container for fermentation and the pressed grapes, the gateau, is disassembled and returned to press for a second and third time. The gateau becomes almost a work of art. 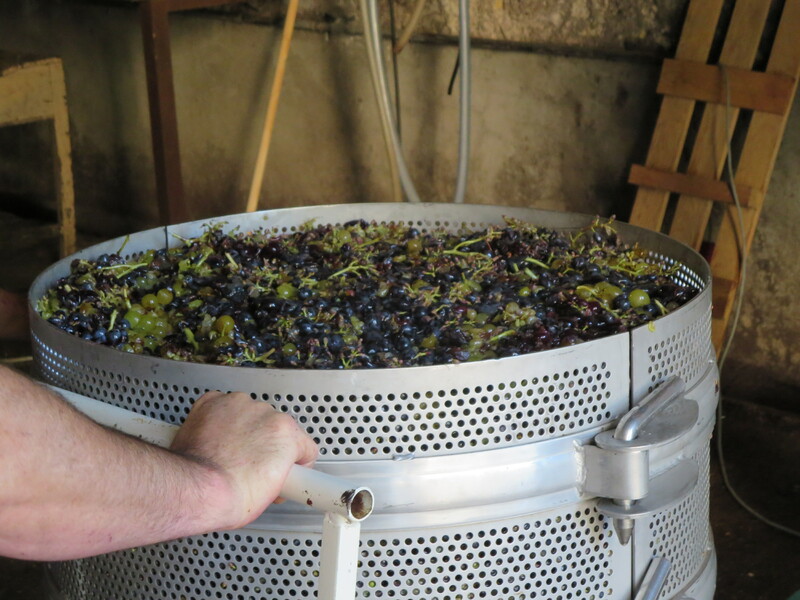 The wine begins its fermentation in the tank and after this has finished the wine is put into barrel for the first time. 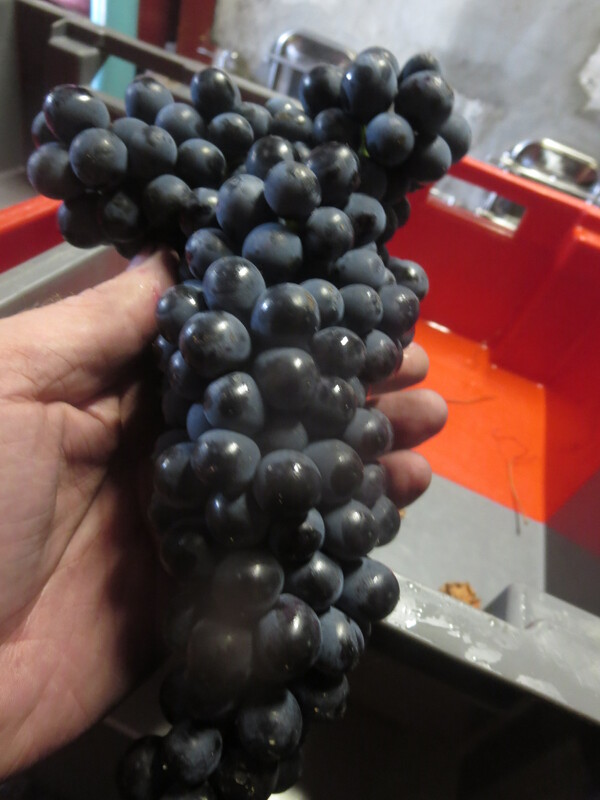 Depending on its development Jeff will blend this wine with previous vintages or allow it to develop in barrel for a number of years. 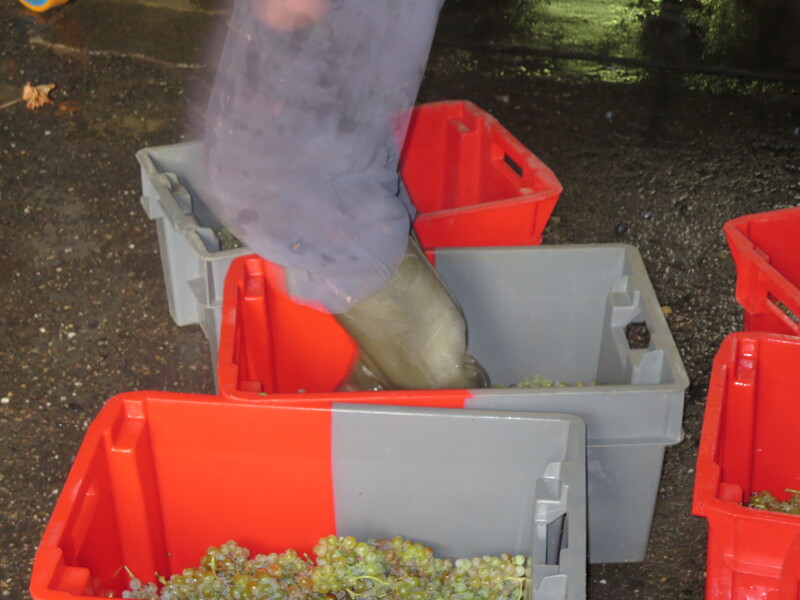 The other pressing I supervised was the Carignan Blanc. 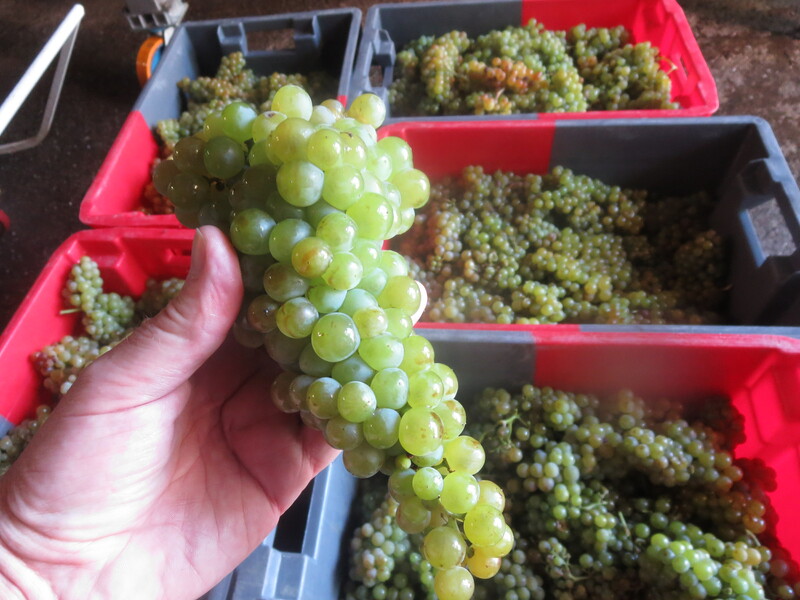 Jeff was pleased with this crop and decided that he would make a new white wine using only these grapes. The procedure was identical though I thought I’d highlight one extra feature. 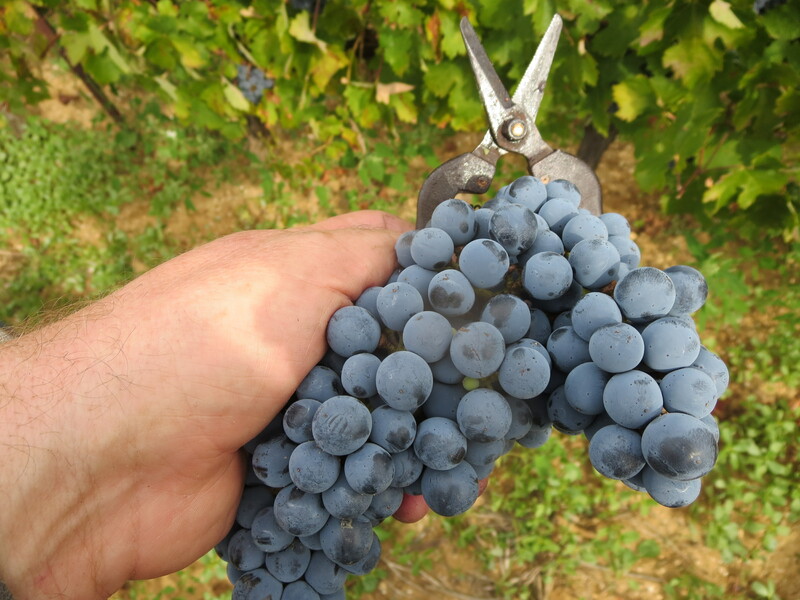 Many people commented after a previous post that they were disappointed I did not get my socks and shoes off and start to tread the grapes. Well I was rather shocked to see that treading does still happen! Instead of bare feet though new, perfectly clean wellington boots do the job, a light pressing (so that ruled me out!) to start the process moving even before the press gets to work. 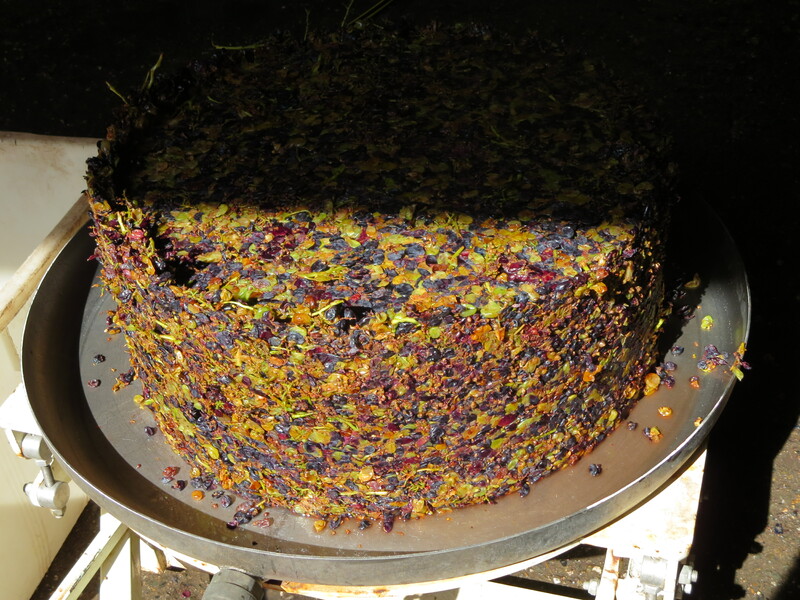 The gateau was just as spectacular and you can see in the photo below the layers created by the 3 pressings. A serious point. 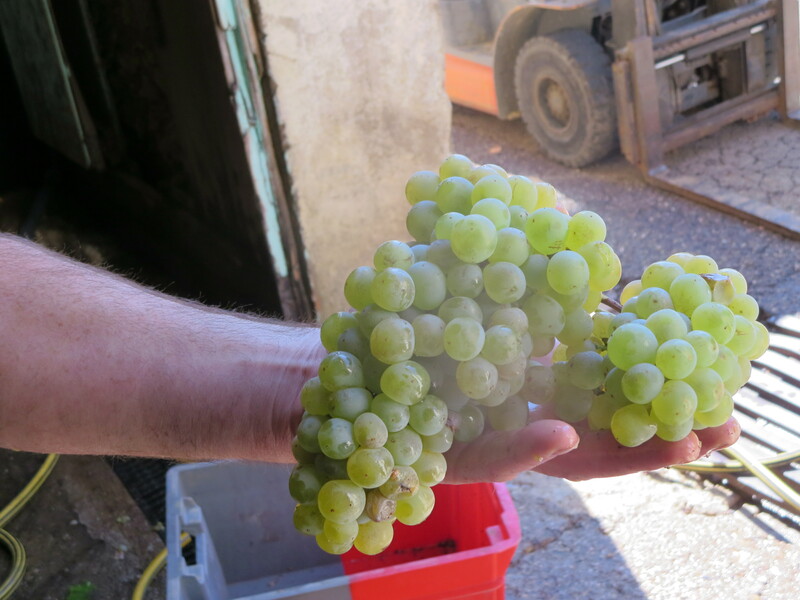 Jeff was keen to point out that the Carignan Blanc grapes took 10 people 2 hours to pick. 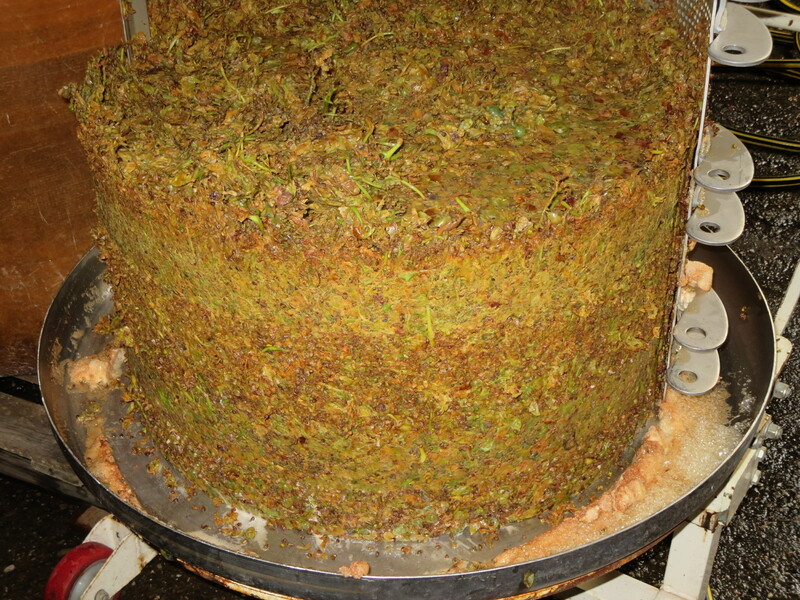 We took a whole day to press the grapes, myself and supervision from the patron with others helping to take the gateau apart and then reassemble it for the various pressings. 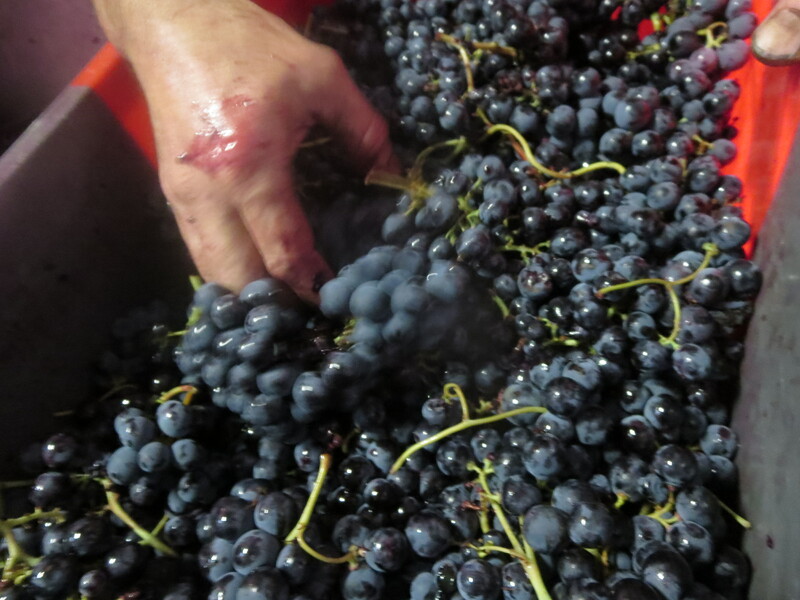 The grapes will be fermented, pumped over, stored in barrel. 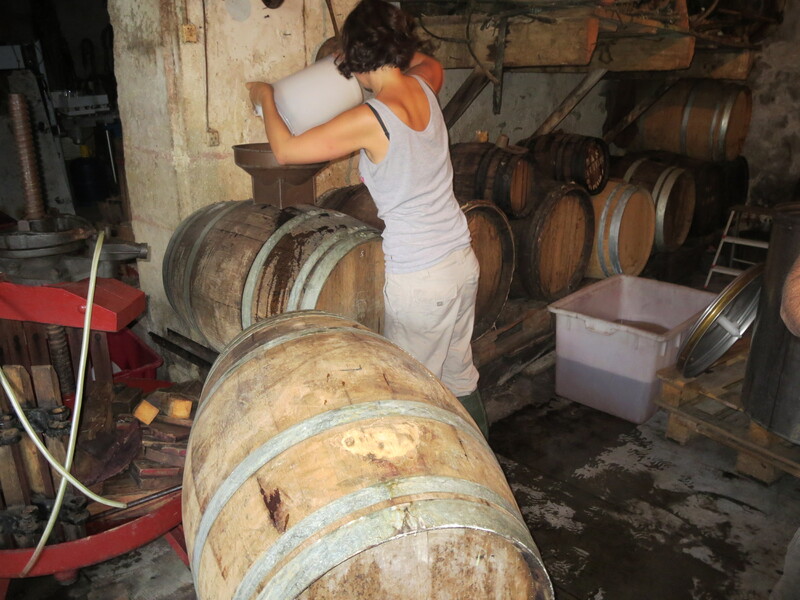 So when we think twice about the price of wine think about the amount of work which has gone into it, especially for crafted, artisanal wines such as these. 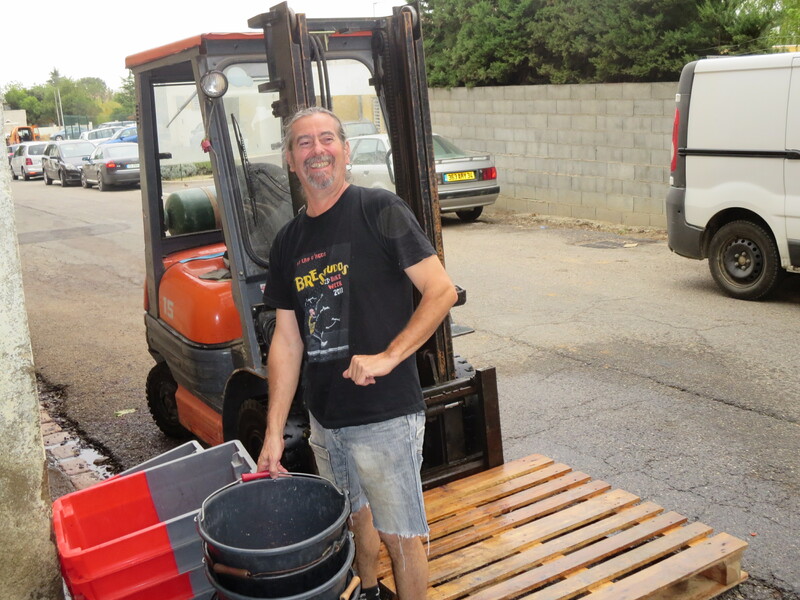 And after all that only 420 litres were produced, around 500 bottles or so. On a less serious note, we now know who is the patron, let me introduce Icare, the real driving force behind Mas Coutelou. 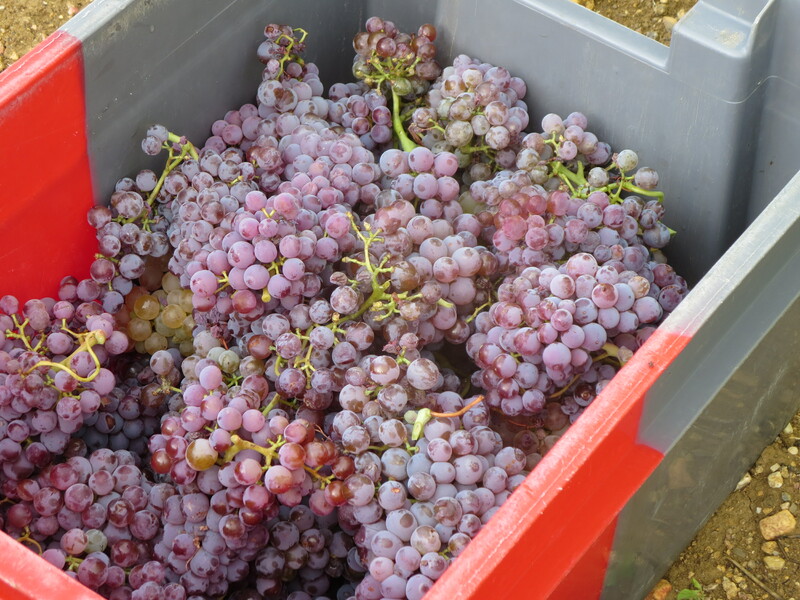 Categories: Vignerons, Wines | Tags: Carignan Blanc, Coutelou, fermentation, gateau, Icare, muscat. 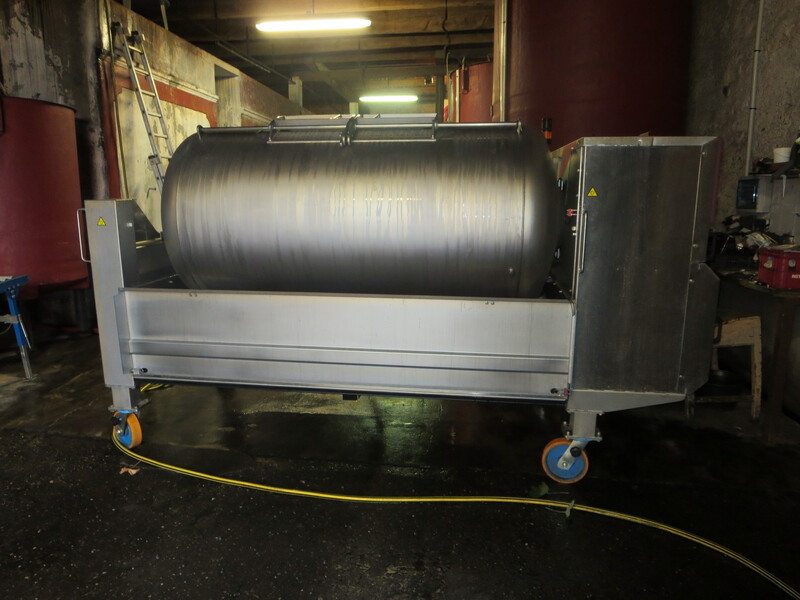 grenache, solera, treading, winepress | Permalink.